This study examines prior research conducted on the acceptability of online degrees in hiring situations. In a national survey, a questionnaire was developed for assessing the importance of objections to accepting job candidates with online degrees and sent to university search committee chairs in institutions advertising open faculty positions (which normally require a doctoral degree). Qualitative statements regarding such objections were drawn from four national surveys and arranged into a paired-comparison questionnaire. Based on the Law of Comparative Judgment, an index was developed from a statistical analysis based on the responses of 123 university and college administrators (chairpersons, department heads, and deans). 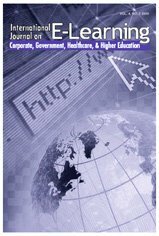 The findings revealed that objections concerned three issues: (a) face-to-face classroom experience, (b) reputation of institution for rigor, and (c) mentored learning experiences are the stumbling blocks for online degrees to be perceived as being as acceptable as traditional degrees. These findings may provide an important perspective on the difficult issue of how to design new approaches to distance education that will improve the acceptability of course and degree offerings. Adams, J. (2008). Understanding the Factors Limiting the Acceptability of Online Courses and Degrees. International Journal on E-Learning, 7 (4), 573-587. Waynesville, NC USA: Association for the Advancement of Computing in Education (AACE). Retrieved April 22, 2019 from https://www.learntechlib.org/primary/p/24314/. Adams, J., & DeFleur, M. H. (2005). The acceptability of a doctoral degree earned online as a credential for obtaining a faculty position. The American Journal of Distance Education, 19(2), 71-85. Adams, J., & DeFleur, M. H. (2006). The acceptability of online degrees as a credential for obtaining professional employment. Communication Education, 55(1), 32-45. Adams, J. DeFleur, M. & Heald, G. (2007). The acceptability of online degrees in health hiring professions. Communication Education, 56(3), 292-307. Allen, I. E., & Seaman, J. (2005) Growing by degrees: Online education in the United States, 2005. Report sponsored by the Alfred P. Sloan Foundation ( www.sloan-C.org ; 2006, May 19). The Chronicle Index of For-Profit Higher Education. The Chronicle of Higher Education, 52(37), A30. Blumenstyk, G. (2005, January 7). For-profit education: Online courses fuel growth. The Chronicle of Higher Education, 51(18), A11. Cobb, T. (1997). Cognitive efficiency: Toward a revised theory of media. Educational Technology Research and Development, 45(4), 21-35. DeFleur, M., & Adams, J. (2004). Acceptability of online bachelor's degrees as criteria for admission to graduate programs. Journal of Computing in Higher Education, 16(1), 150-161. Delialioglu, O. (2005, October) Investigation of source of motivation in a hybrid course. Paper presented at the 27th Annual Association for Educational Communications and Technology Conference, Chicago, IL. Dyrud, M. (2000) The third wave: A position paper. Business Communication Quarterly, 63(3), 93-103. Hauser, W., & Bailey, T. (2006). Projection of education statistics to 2014 (34th Ed.). National Center for Education Statistics, Report No. NCES 2006-084, 14. Lilja, D. (2001) Comparing instructional delivery methods for teaching computer systems performance analysis. IEEE Transactions on Education, 44(1), 35-40. Miettinen, M., Nokelainen, P., Kurhila, J., Silander, T., & Tirri, H. (2005). EDUFORM – A tool for creating adaptive questionnaires. International Journal of E-Learning, 4(3), 365-373. Pappert, S. (1980) Mindstorms: Children, computers and powerful ideas. New York: Basic Books. Persin, R. (2002). Web-assisted instruction in physics: An enhancement to block scheduling. American Secondary Education, 30(3), 61-69. Pulley, J. (2005, May 5). Capella university prepares to go public. The Chronicle of Higher Education, 51(35), A30. Sikora, A. (2003) A profile of participation in distance education: 1999-2000. Postsecondary education descriptive analysis reports. National Center for Education Statistics. NCES 2003017. Berkeley, CA: MPR Associates. Tuckman, B. (2002), Evaluating ADAPT: A hybrid instructional model combining web-based and classroom components. Computers & Education, 39, 261-269.